Let’s be clear. Crossfit did not ‘sell out’ to Reebok. Before I make my case, let me explain the argument to those who don’t know what I’m talking about. .. 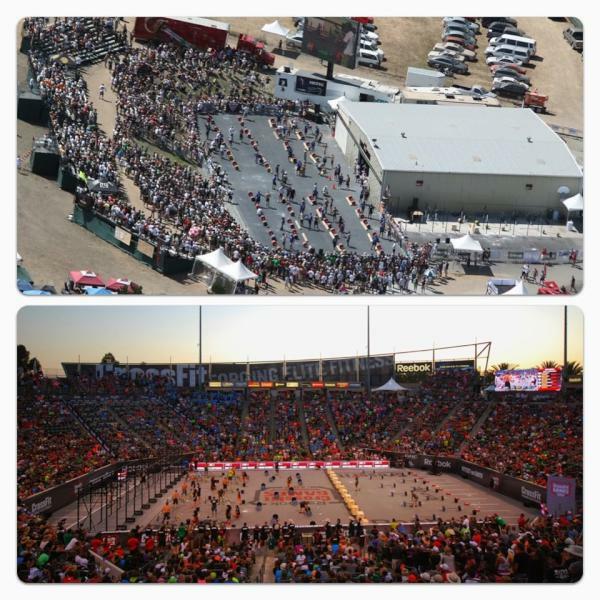 This past weekend was the Crossfit Games, the pinnacle competition in the world of Crossfit. To qualify for the Games, athletes must first make it through the Open; five weeks of one workout/week as specified by Crossfit Headquarters, following which the athlete posts their scores online. The beauty of this is that anyone can enter the Open, and the atmosphere it creates in Crossfit gyms around the world is incredible. Crossfit Altitude (the gym I like to call ‘my gym’) had more than 80 people enter the Open, most of whom had no intention of qualifying for the Games but wanted to experience the thrill of being a part of the process. Following the Open, the top-seeded athletes advance to Regional competitions, before advancing to the Games themselves. Watch this video to be inspired. Some Crossfit athletes complain that Crossfit has ‘sold out’ by agreeing to partner with Reebok. I see their comments on blogs, Twitter, and Facebook, and they’re raving about Crossfit from days-gone-by and bemoaning the fact that Reebok has recently jumped on board. I can’t for the life of me figure out why, and I think their viewpoints are short-sighted at best. Why would you be upset that Reebok has come along and brought their international branding and marketing? By agreeing to a Reebok sponsorship, Crossfit is able to grow. Isn’t one of the tenants of Crossfit a sense of community? What better way to promote a sense of community than by growing Crossfit’s base of athletes and expanding its reach. And let’s not forget the money. The 2012 Reebok Crossfit Games offered a million dollar purse, including $250K to each of the Individual Male and Female winners. By partnering with an international giant like Reebok, these prizes were made possible. And big prizes mean big interest mean big participation. Again, growth in the sport. Good! Many of the complainers are ‘originals’, having followed Crossfit methodology since it’s inception by Greg Glassman in 2000. Some are those who do their own Crossfit workouts in their garage or basement, getting their workouts from Crossfit websites. So my question to them is why does it affect you? Why does it affect you that Reebok has jumped on board? Why does it affect you that Crossfit is rapidly becoming mainstream? Why can’t you continue to do Crossfit the way you want to, the way you always have? I think the answer is it doesn’t. My sister-in-law went to see the Games in Southern California this year with several friends from Calgary’s Crossfit Ramsay and she had the time of her life. I’m already saving my pennies for next year. This entry was posted in Crossfit, Fitness. Bookmark the permalink. There is selling out, then there is out-right whoring. See CF ad above. Agreed Joe, I don’t like the ad at all. Gives the wrong message about what Crossfit’s all about!